As the year slowed down and began cooling off, with holidays beckoning, our efforts also began to trail off a little bit. Bayo Fodeke uploaded a patch for the Drupal for Facebook module to fix the uninstall script and pointed out that the Backup and Migrate module had the same problem. Michelle Cox worked on a patch to resolve inconsistent path/route handling in Drupal 8. A patch Joe Stewart uploaded for the Views Data Export module was committed. I resolved another problem in the ApacheSolr module for Drupal 6 when using a secure index, fixed problems with Metatag-D7’s hreflang meta tag, and submitted several improvements for the Recacher module which were quickly committed by the module’s maintainer. Michelle Williamson got involved with the security team to publish some public announcements. I continued working on Metatag for D7 and D8, and released v7.x-1.18. We do like to write, and that continued unabated. Mario Hernandez provided insights into using component-based design concepts in Drupal 8 site builds (part 1, part 2 and part 3). 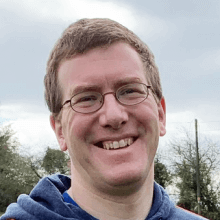 Dave Terry shared some details of why Mediacurrent focuses on giving back to open source communities and why other businesses should do likewise. Shellie Hutchens explained some uses for marketing automation. Matt Goodwin gave tips on making an event presentation even better. The Dropcast gang chatted about BADCamp and other topics. Cheryl Little explained how to make signup forms easier to use, e.g. created via Commerce, Webform, etc. Michelle Williamson provided insights into web accessibility testing. There wasn’t much going on in November for us here in the USA, besides Thanksgiving where we gathered to eat turkey, stuffing, and pies and discussed the long term effects of colonization of countries on the native peoples. And did I mention pies? Mmmm, pie! That said, planning began on DrupalCon 2017, to be held in Baltimore, Maryland, with several team members getting involved in organizing session tracks.